1. Kyrgyzstan does not comply with international norms concerning the return of internationally abducted children. The primary method of obtaining the return of an internationally-abducted child is by means of an application under the Hague Abduction Convention. It is the public policy of the United States that all countries should adhere to the Hague Convention or enter into bilateral arrangements to return abducted children. Kyrgyzstan has failed to sign the Convention or enter into any bilateral agreement concerning the return of internationally abducted children. 2. The refusal to accede to the Hague Convention or enter into any bilateral arrangements concerning the return of abducted children constitutes an extremely strong red flag that a country does not consider the abduction of children from other countries to be a serious matter, that it does not comply with international norms concerning international child abduction, and that it is most unlikely to follow a foreign court’s orders concerning either custody or visitation. 3. It is exceedingly difficult to return children from non-Hague countries. If a child is abducted to a non-Hague country the United States Embassy in that country and the U.S. State Department have no power to secure the child’s return. 4. There can be no extradition from Kyrgyzstan for international child abduction, since there is no extradition treaty between the U.S. and Kyrgyzstan. 5. A left-behind parent’s only potential remedy in Kyrgyzstan would be to initiate a plenary custody case in Kyrgyzstan. It would be necessary to stay in Kyrgyzstan in order to do so. There is no precedent for the return of an abducted child from Kyrgyzstan and no basis to expect that the courts in Kyrgyzstan would enforce a foreign custody order. 6. Many authoritative agencies reliably report that the level of judicial and other corruption in Kyrgyzstan is among the highest in the world. One such agency ranks Kyrgyzstan as one of the most uncompetitive countries in the world due in large part to its “off the charts” level of corruption. 7. 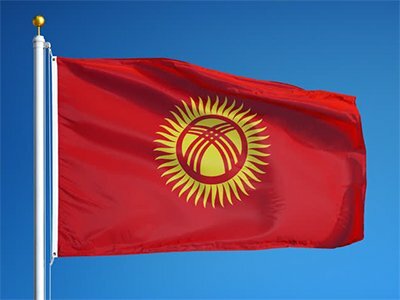 The U.S. Court of Appeals for the Second Circuit has held that a petitioning Kyrgyz asylum application should have been granted because the petitioner’s testimony as to extensive police corruption in Kyrgyzstan was credible and corroborated, and was supported by findings of the U.S. State Department. 8. 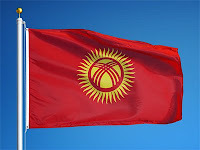 The Law of the Kyrgyz Republic on External Migration provides that a person under the age of eighteen may exit the country only upon the written and notarized request of his/her legal representatives, or by a Kyrgyz court order. Article 46 of the Law further provides that anyone may be prevented from leaving the Kyrgyz Republic if there is a pending civil suit against him.